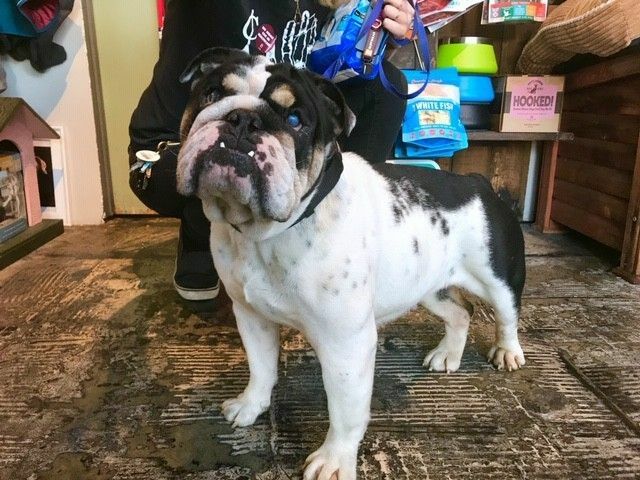 Winnie is a 2 year old, 30 lb mini English bulldog. She adores affection and loves other dogs as well. She loves to play play play and with others as well. Having had a tough beginning in life, she is learning alot about the world and life and enjoying it thoroughly! Her potty training is going well and she's great in the crate (quiet and happy). She had pyometra that was taken care of through her deep spay and just has some remaining eye examinations by a specialized vet to get through so we are looking for a foster or a foster to adopt to get her through her remaining medical care. If interested please email therealbark@gmail.com for more information!